Spring is here, which means if you are a maid of honor or bridesmaid you are planning a bridal shower! We’re here to share our best tips and tricks for planning an event to remember! 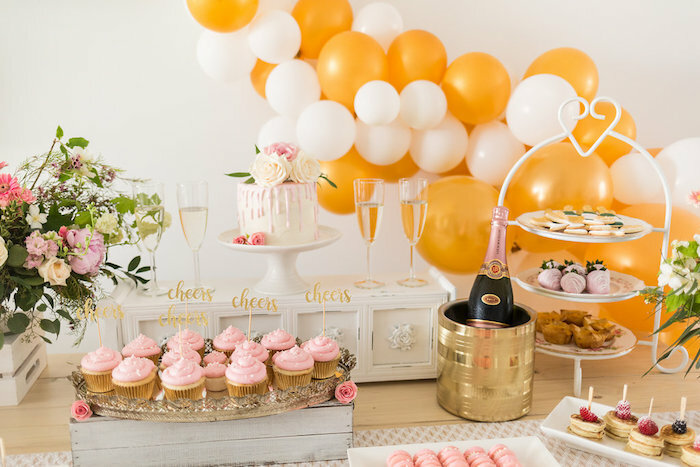 The Bridal Shower Vision – Remember to think of your bride and her wedding vision when planning the shower – you don’t want the shower to be a miniature replica of the wedding, but you do want them to have the same feeling for your guests. You’re there to celebrate the bride-to-be, so make sure the shower reflects her style and tastes! Theme – A specific theme isn’t particularly necessary, but at least having a few colors in mind will help guide your decision making process from venue to invitations to decorations. Food – Fun finger foods tend to be a better option than a sit-down meal. Anything that gets people up, moving and mingling is ideal. Favors – Have a creative, personalized favor for guests. Guests are already traveling to the wedding, so showing your appreciation that they’ve come out to shower the bride is essential. A creative favor that’s also useful is a great idea and ensures that it won’t just be thrown away. Some favorites have been organic handmade soaps (‘from Sarah’s shower to yours’), jams (‘spread the love’) and honey (‘meant to bee’). Gift Table – Have a bridesmaid or family member stationed at the gift table so she can arrange them nicely as guests are arriving – there’s likely to be many photos of the bride opening gifts!